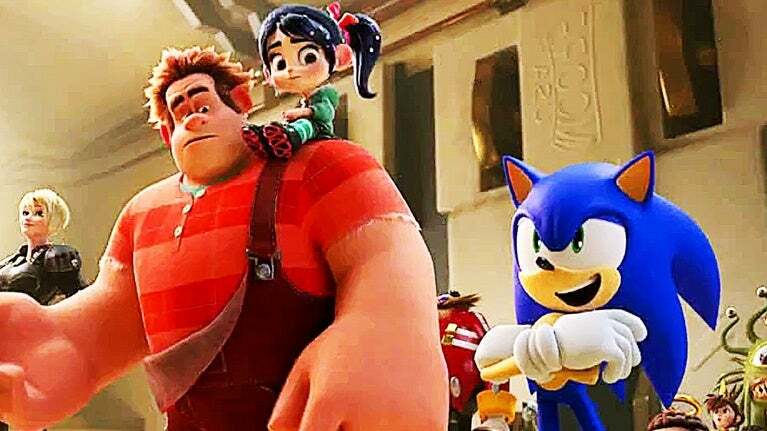 A list of all the video game cameos in Ralph Breaks the Internet have been revealed with classic characters like Pac-Man and Sonic the Hedgehog merging with newer games like Fortnite. Sharing a list of the game cameos that movie viewers will find in Ralph Breaks the Internet, Twitter user Stitch Kingdom who shares Disney-related news tweeted an image showing a list of video game credits. The list contained a series of game references that encompassed several generations with everything from arcade games to the most modern titles able to be seen in the movie. Many of the characters shown in the list are ones that people might’ve already spotted in the many trailer that the movie has received, but others like the Fortnite reference. The battle royale game doesn’t exactly have characters that would be recognized by name, but its art style is unmistakable given how popular the game’s become. Pac-Man characters, Street Fighter names like Chun-Li and Ken, Frogger, Sonic the Hedgehog, and the dancing game Dance Dance Revolution X2 were all among the games referenced in Ralph Breaks the Internet, those all being video game series and characters that people would be likely to recognize. Others pointed out that there appear to be some less obvious references to other video games despite the characters not making actual appearances in the movie. Some of the characters referenced in the initial list of game cameos were seen in one of the most recent previews for the movie. The trailer shown above reveals several of the cameos that people have found so far from different brands, the Disney Princesses being one of the most prominent sets of characters that have been referenced so far. There was also a separate video revealed not long ago that featured Sonic the Hedgehog alongside the movie’s main characters as he explained how Wi-Fi works. Like many other characters that people have spotted, the blue hedgehog only appeared briefly, but he and others will likely be seen more throughout the movie. Ralph Breaks the Internet is scheduled to release in theaters on November 21st.